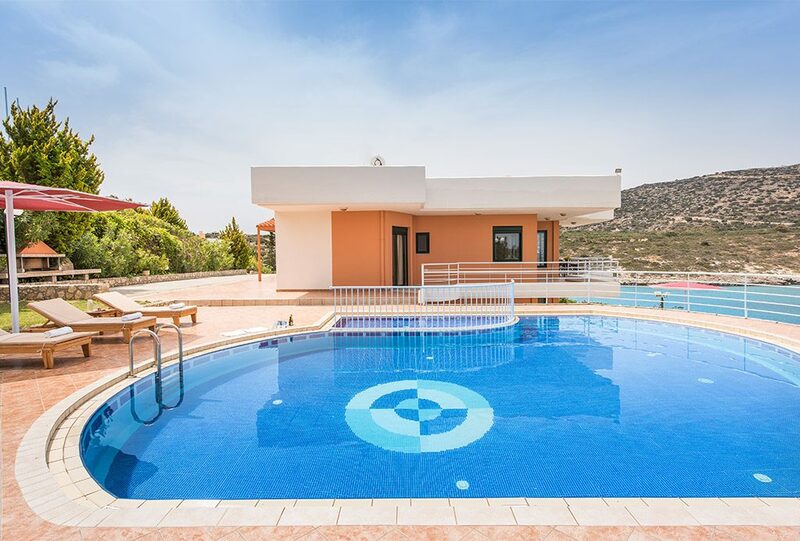 Our comfortable and contemporary Mare Nostrum 3 bedroom villas with private pool offer exclusivity, privacy and luxury. 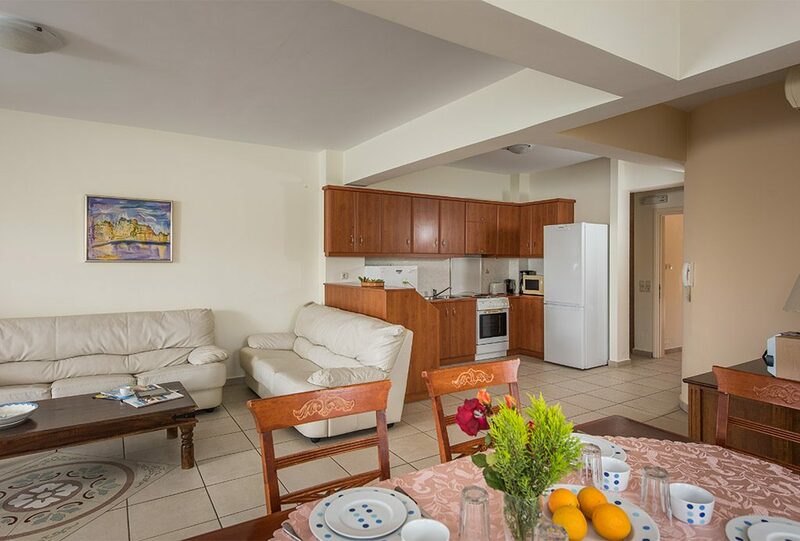 A fully equipped kitchen, large living room with fireplace and chic furnishings create a setting for the perfect romantic get-away. 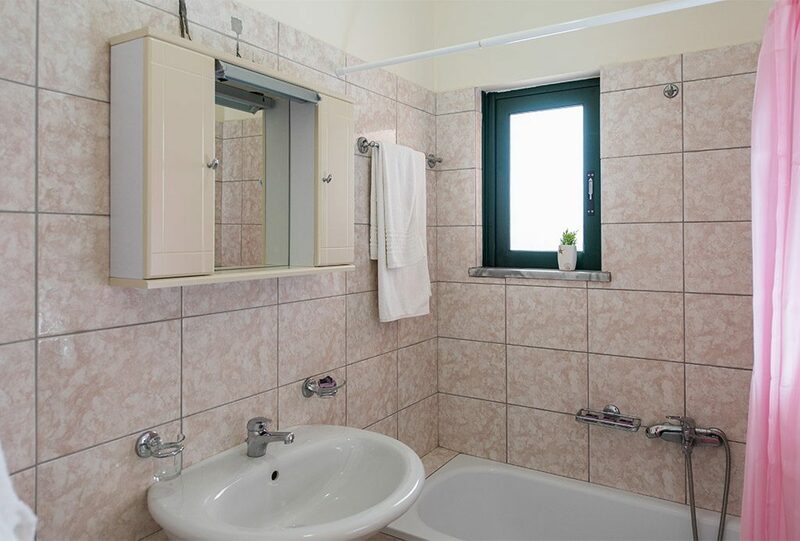 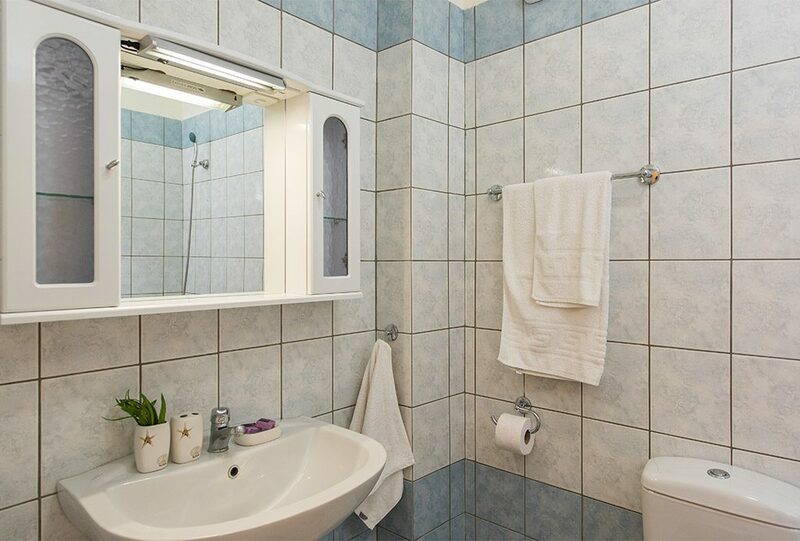 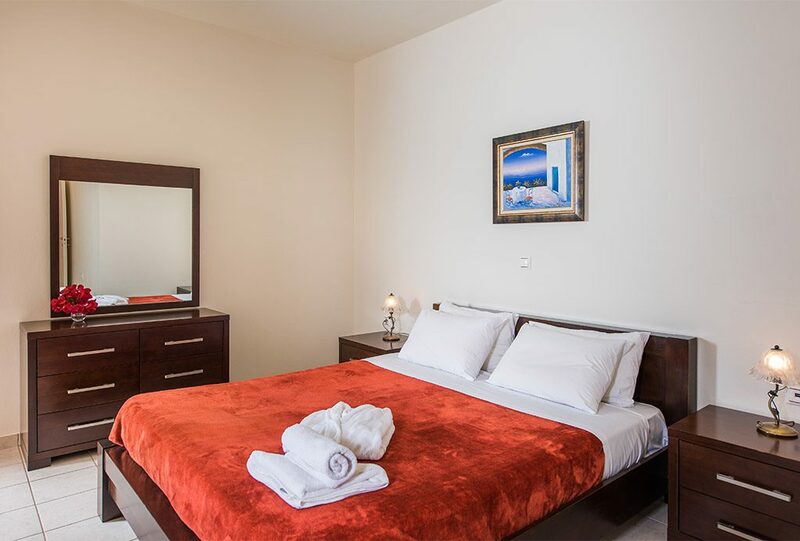 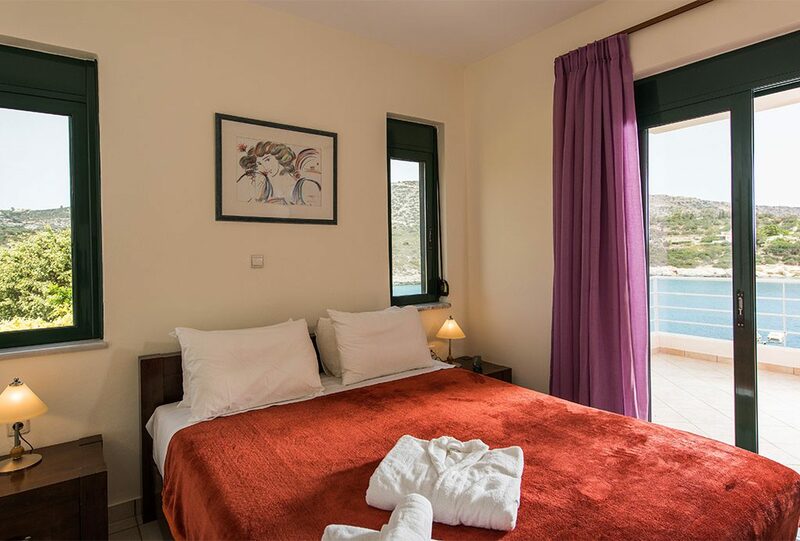 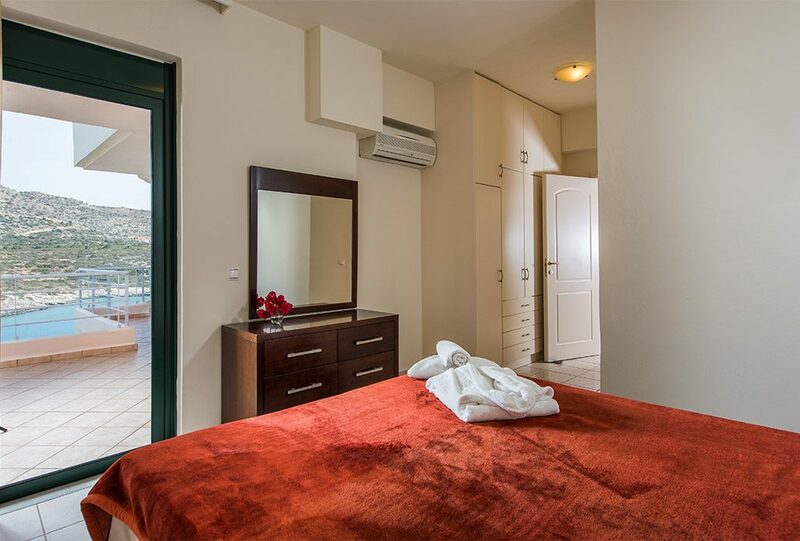 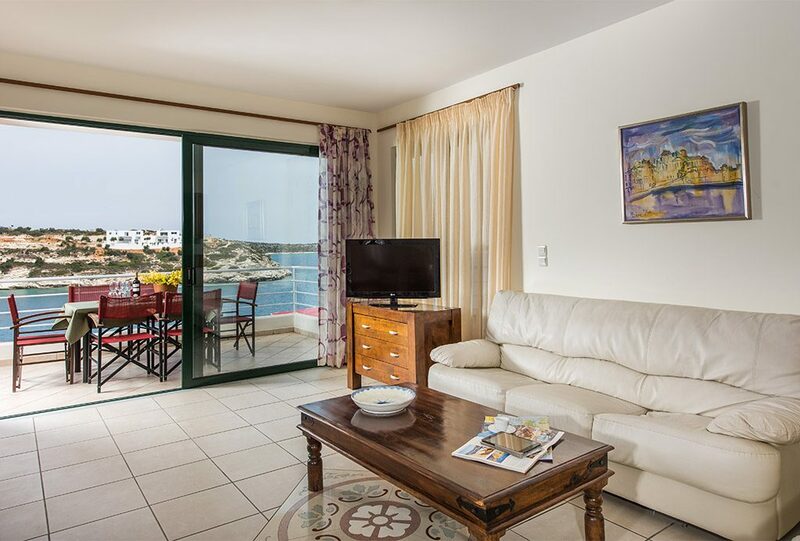 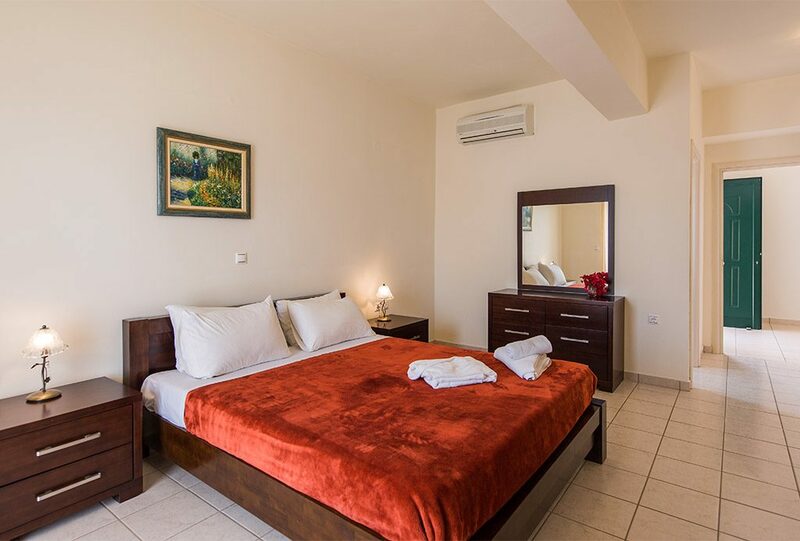 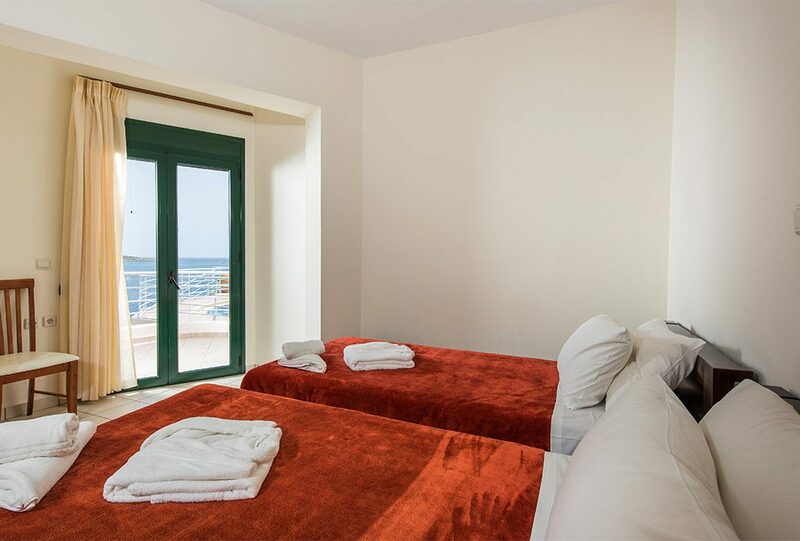 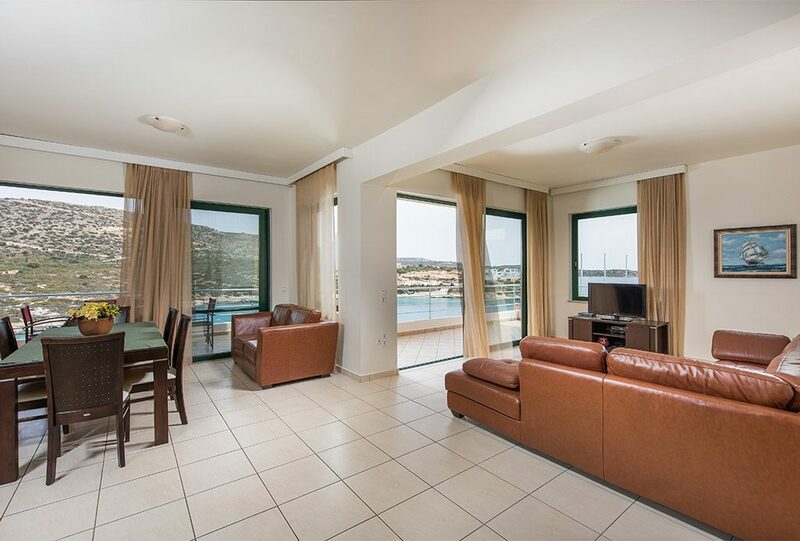 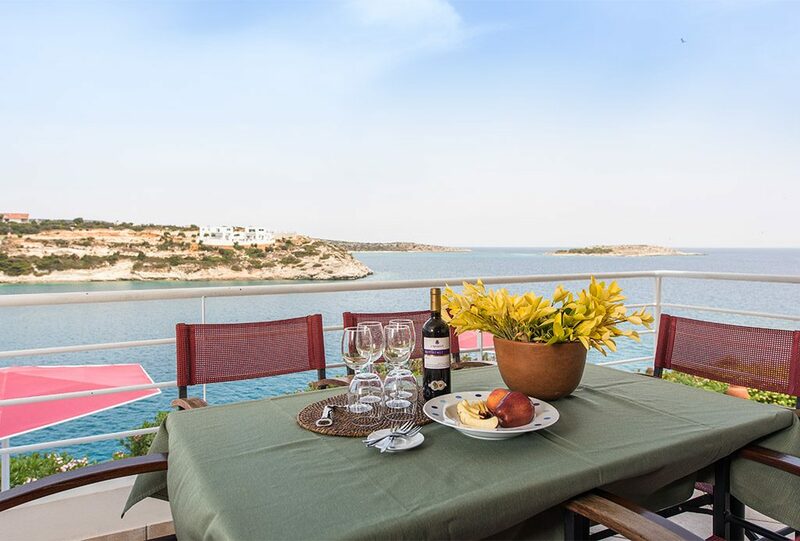 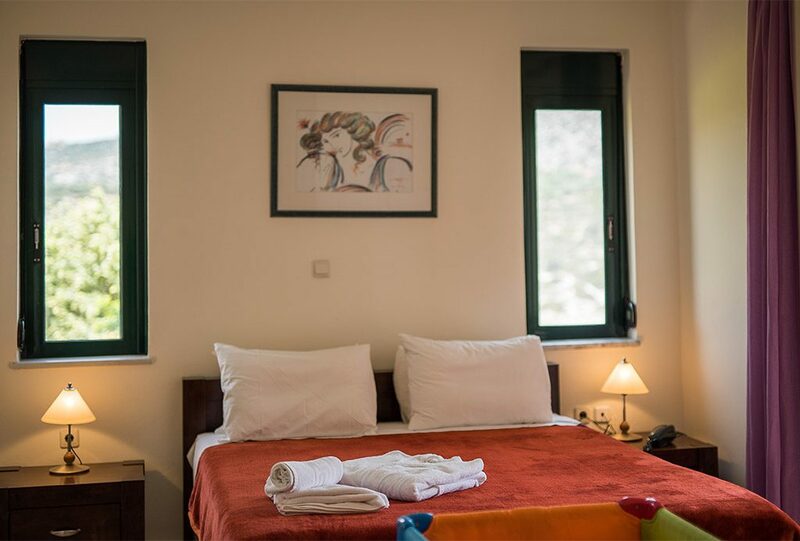 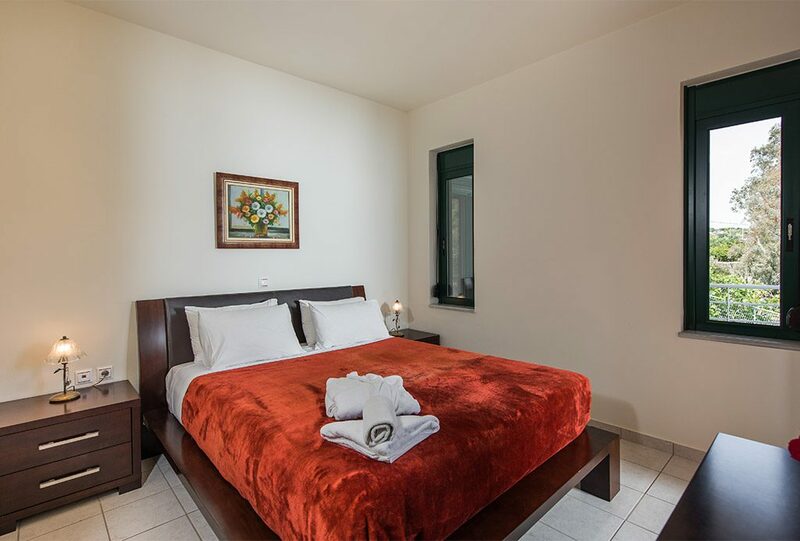 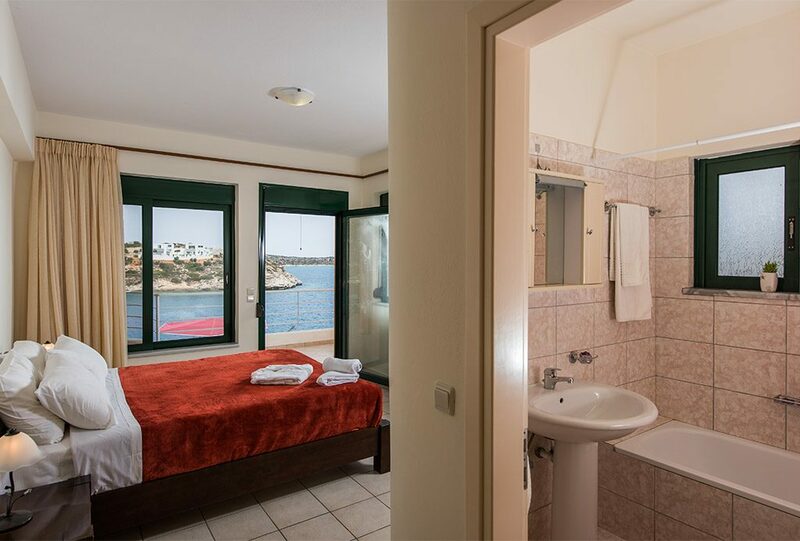 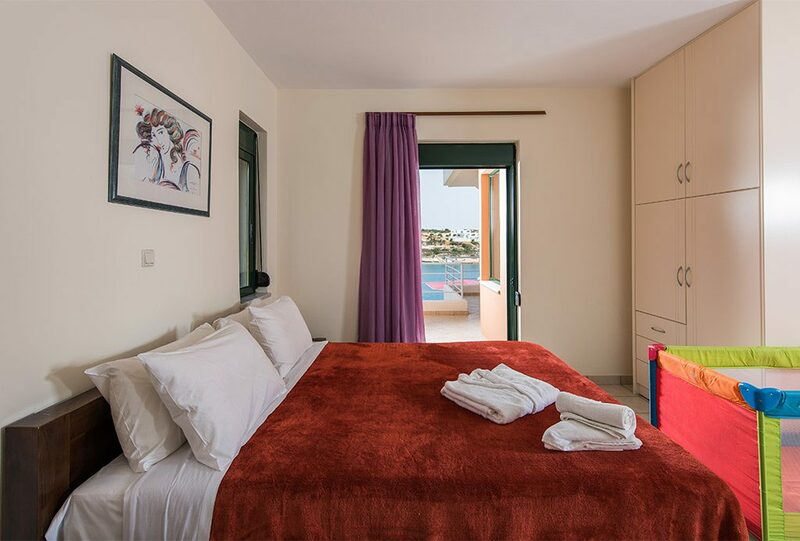 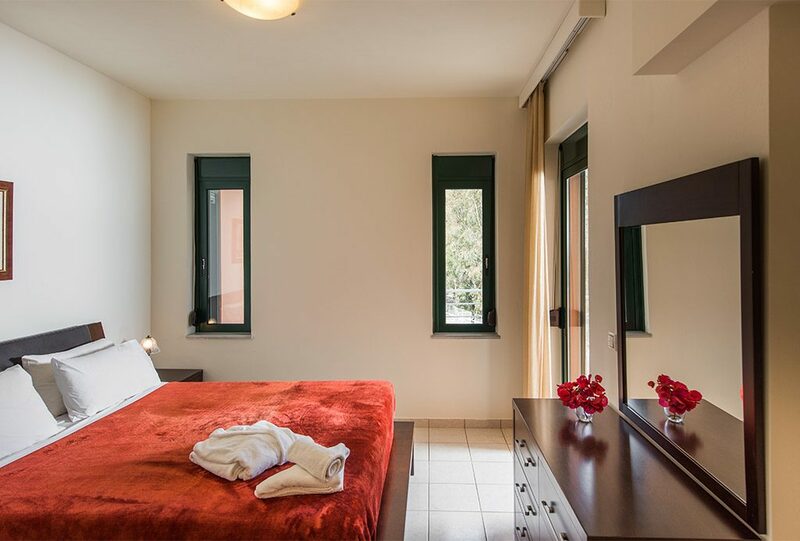 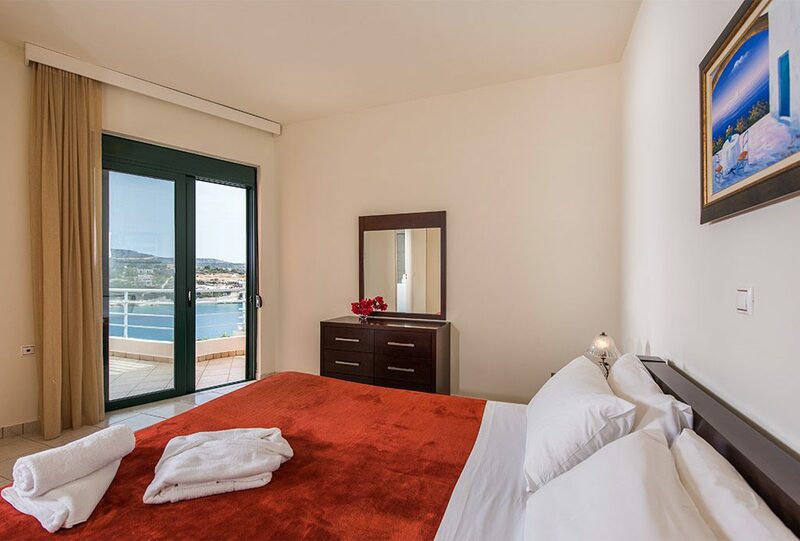 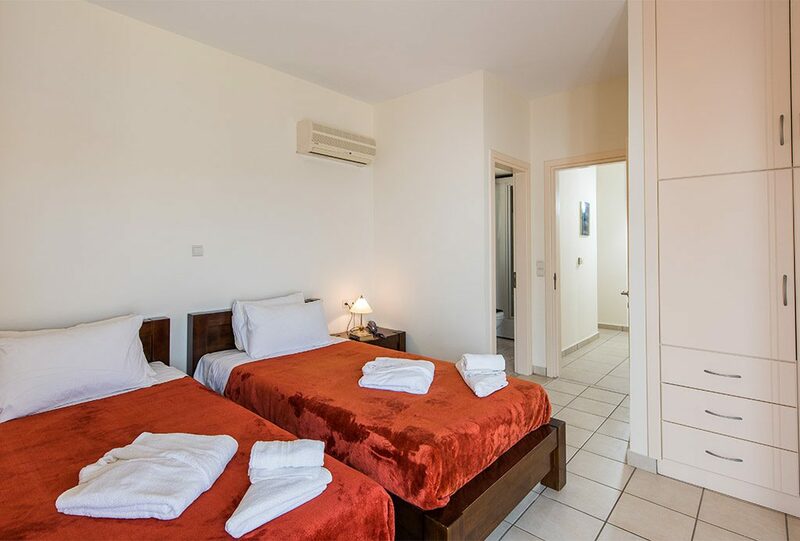 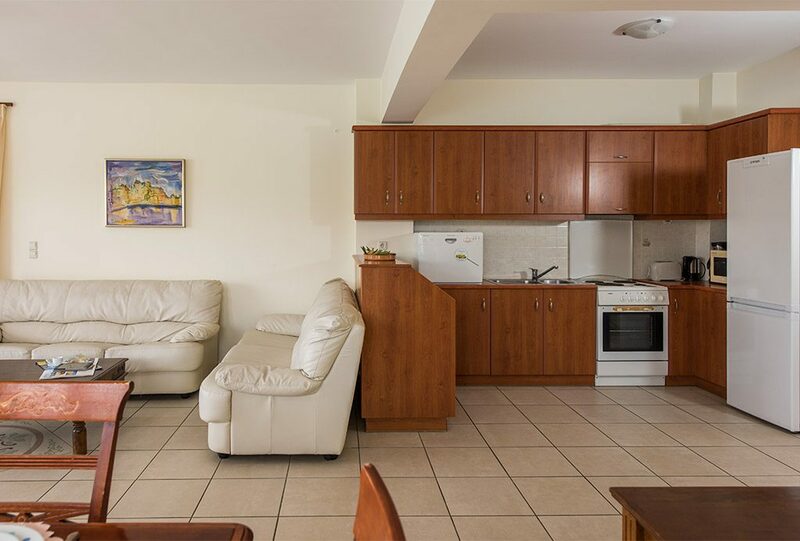 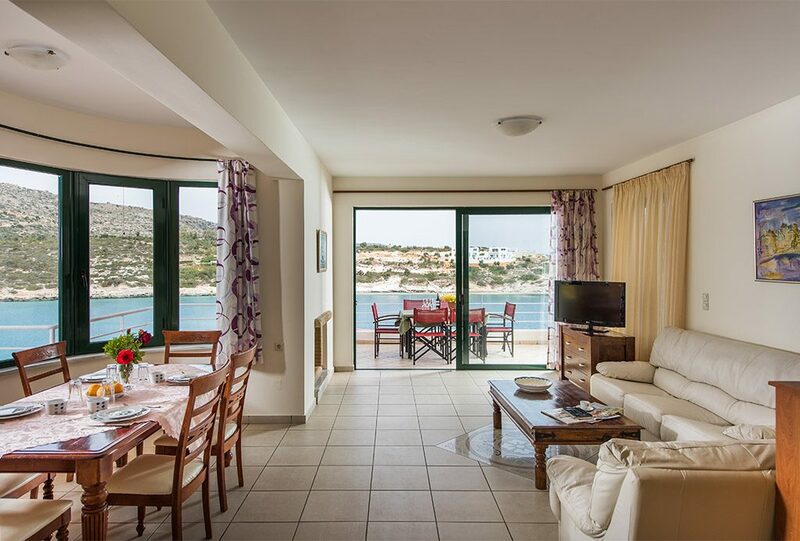 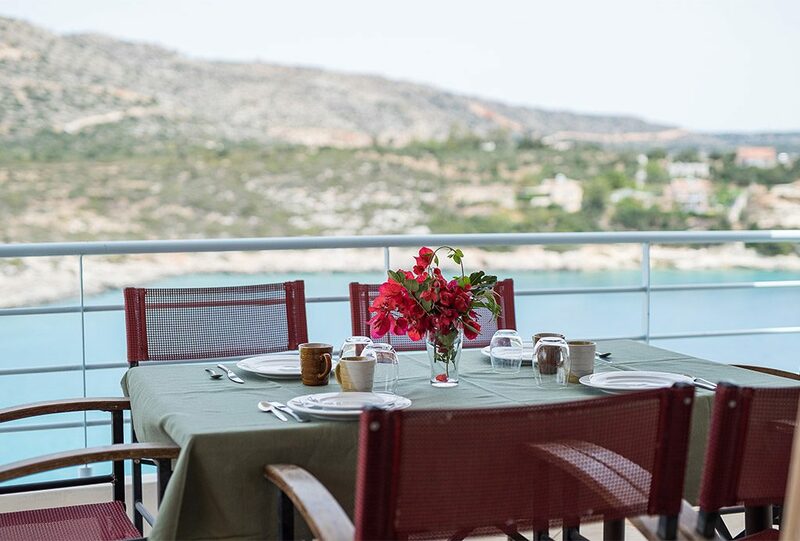 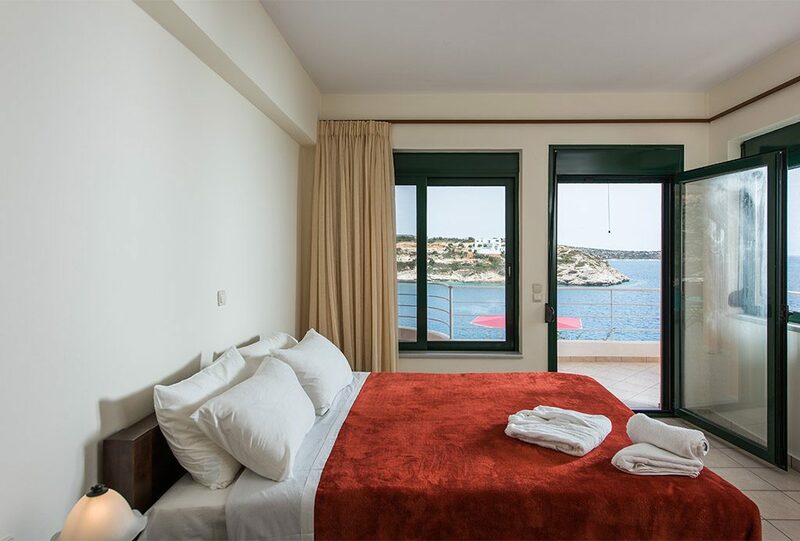 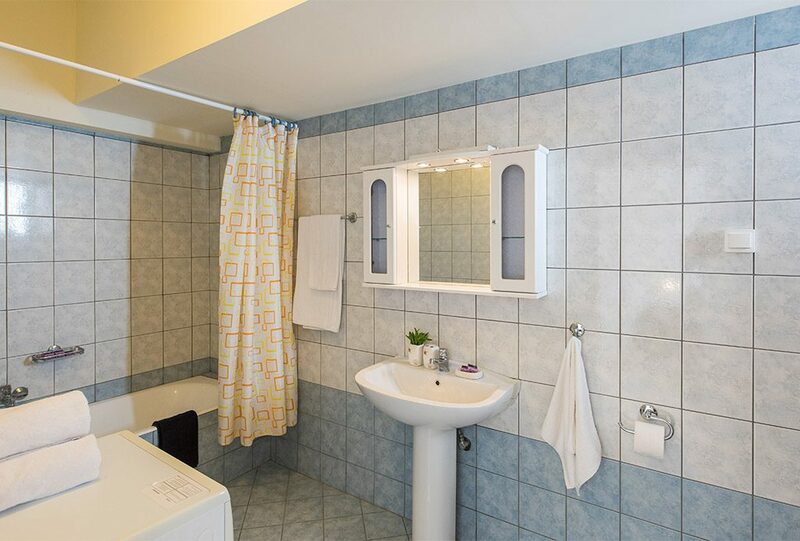 It is the perfect accommodation in Chania! 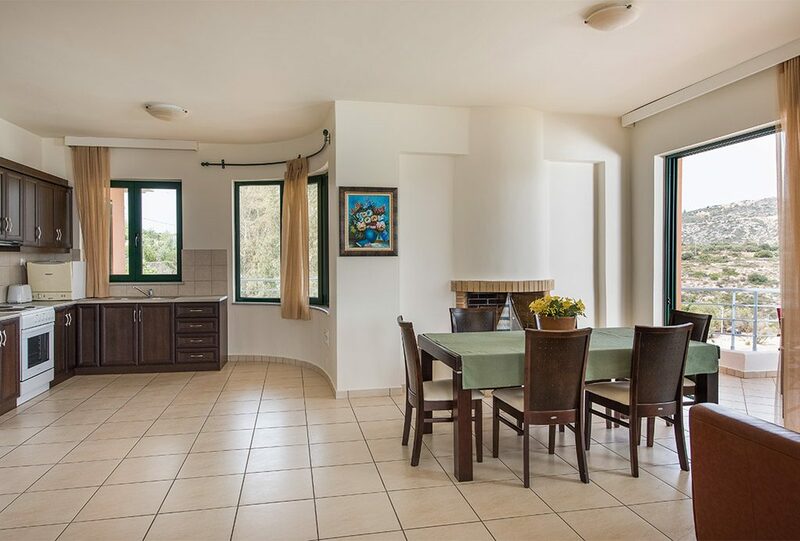 Airy and light filled this independent and private 3 bedroom villa is the perfect choice for either your summer holidays or winter break-away! 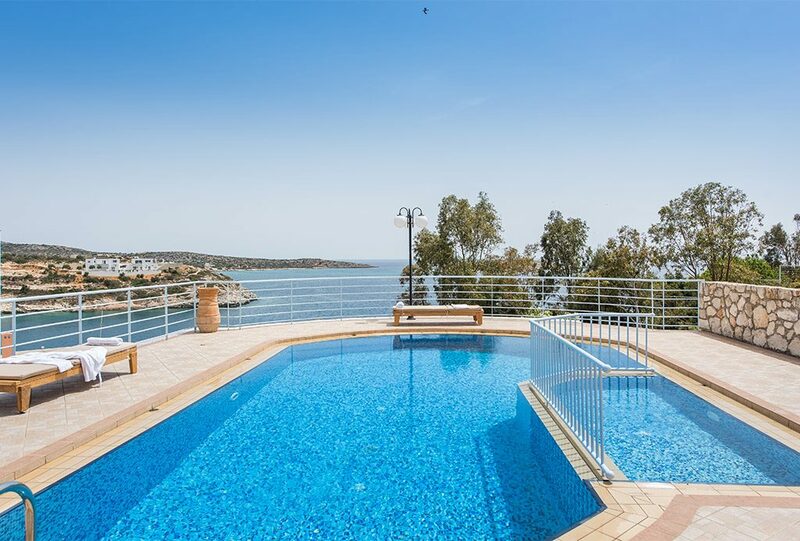 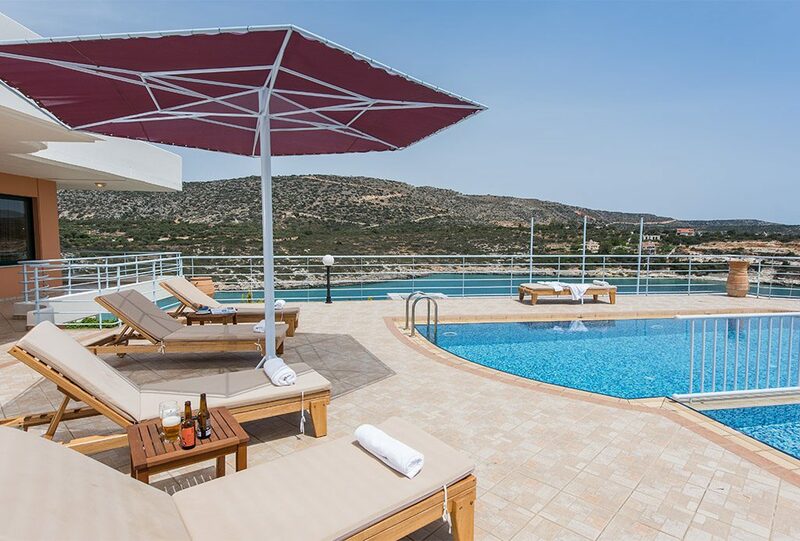 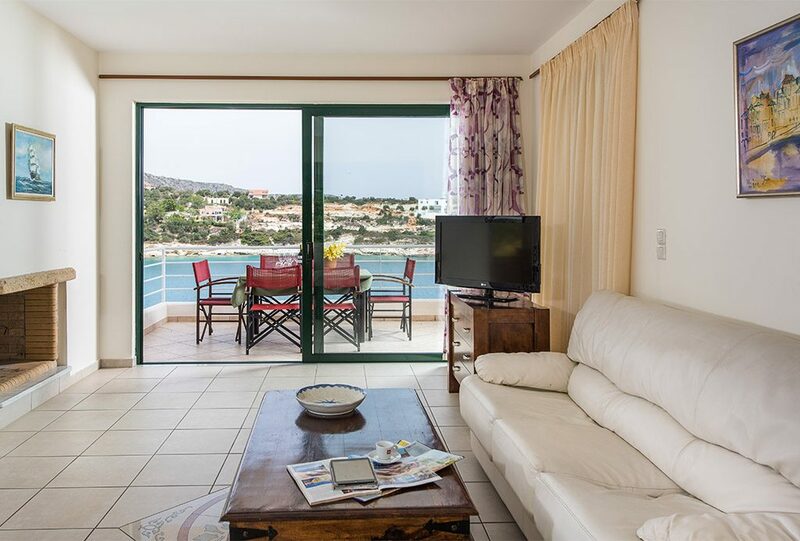 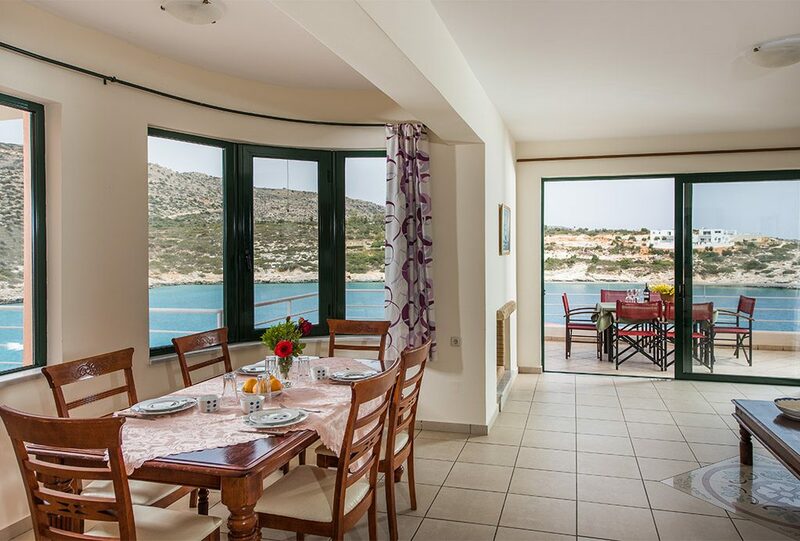 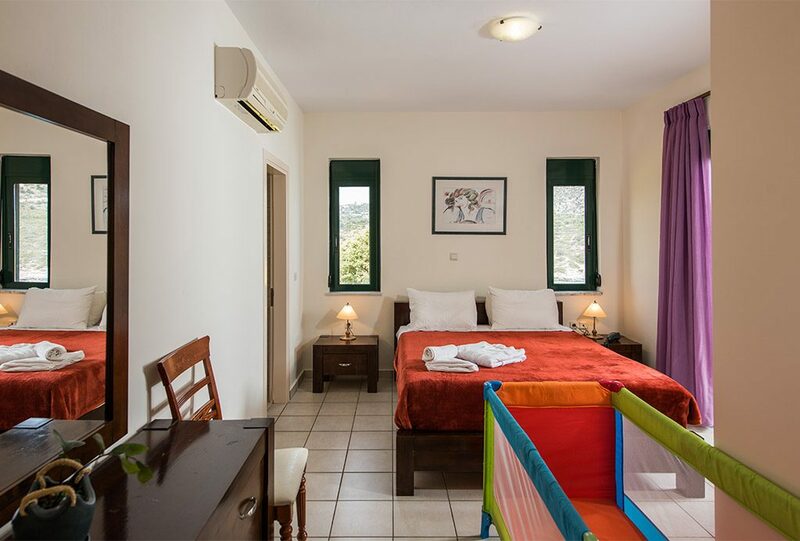 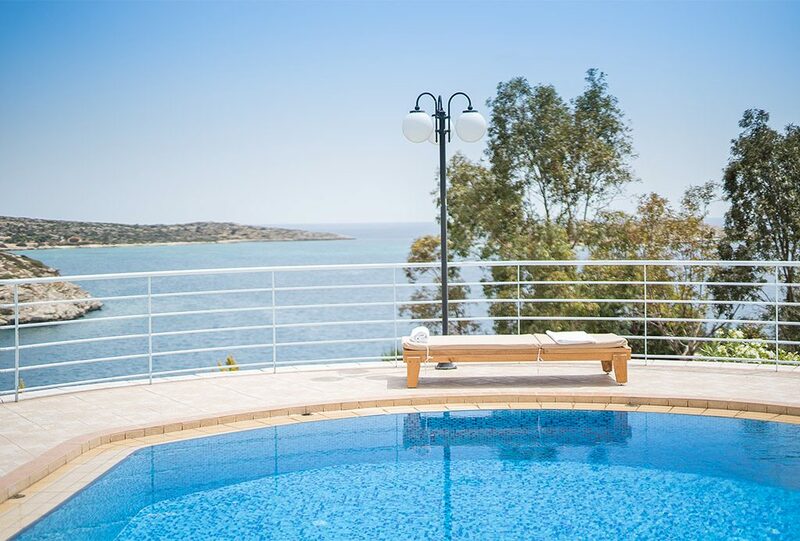 The villa offers spectacular full sea view and mountain-view onto the Loutraki Bay as well as the lush greenery of the surrounding hills. 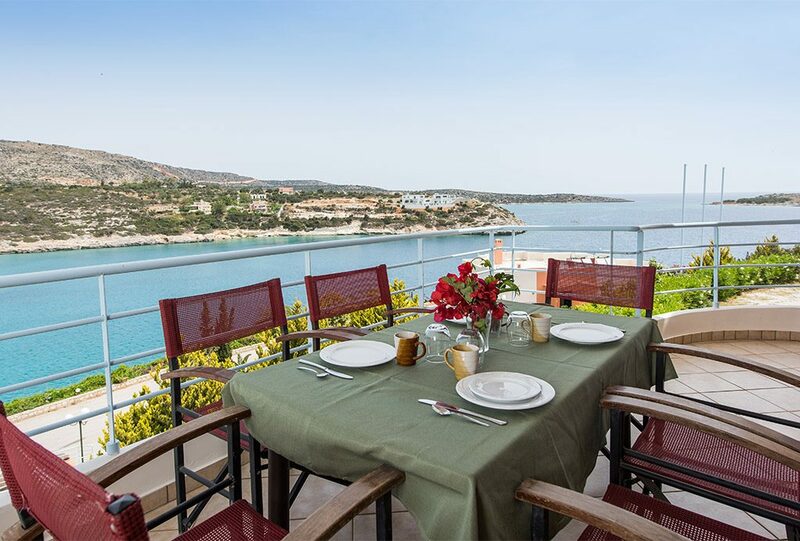 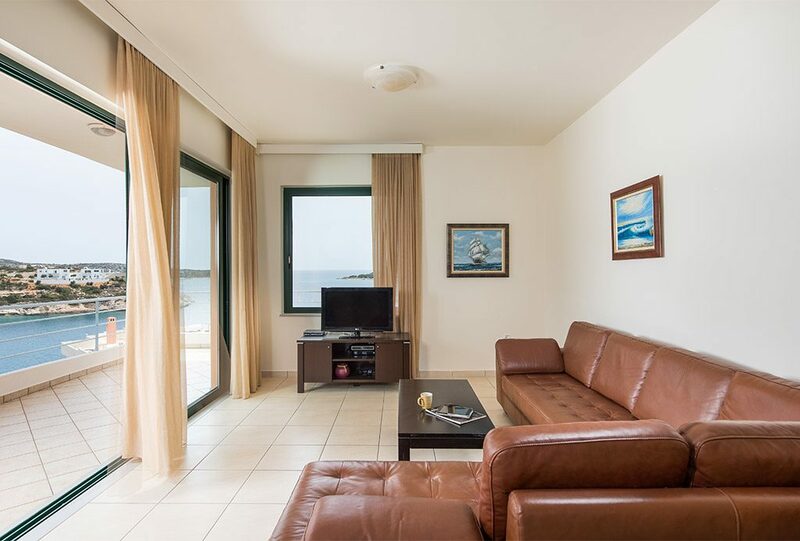 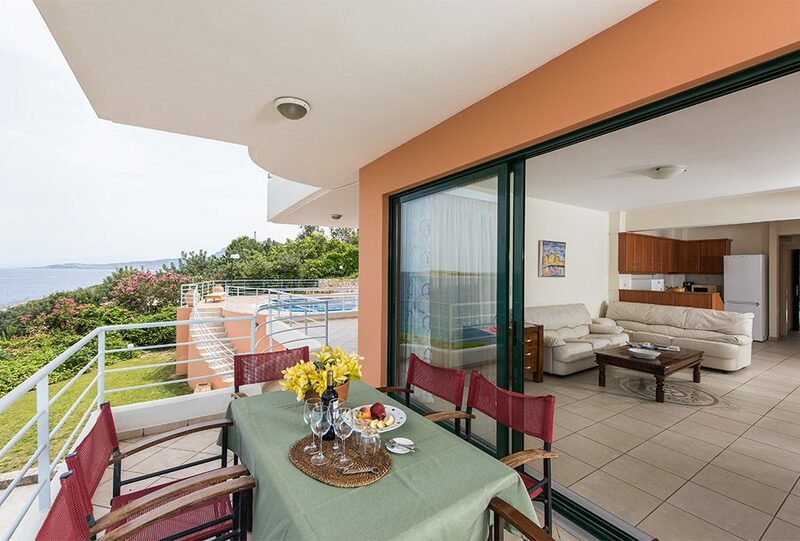 Even more exclusively, a private and convenient path that leads to the sea only 30 meters away is at your disposal. 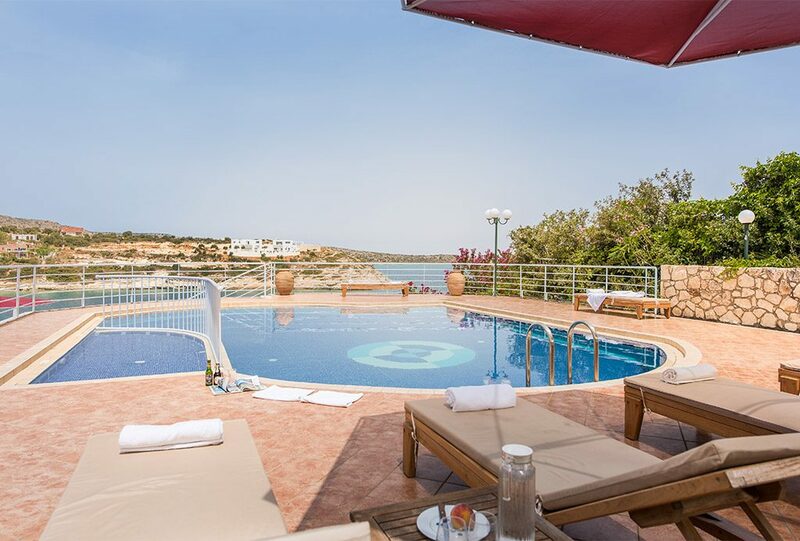 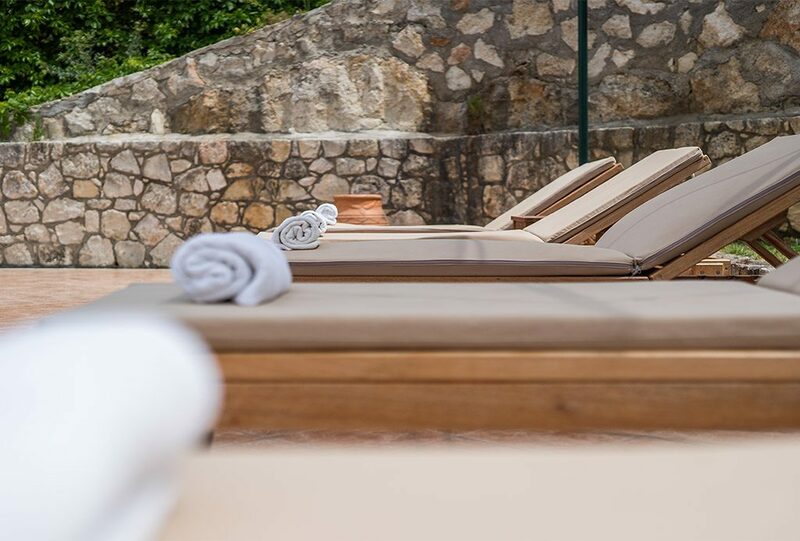 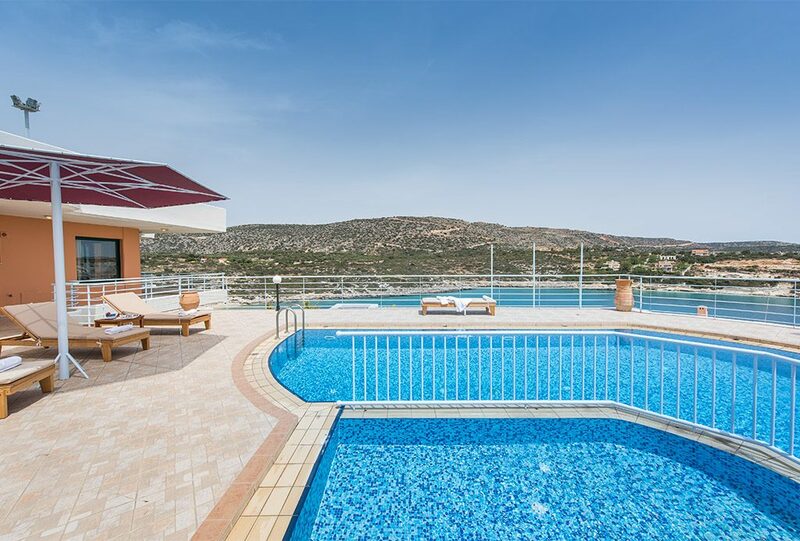 Lounge by your private pool day and night and enjoy hours of sunbathing and activities with your loved ones – all overlooking the spectacular Cretan sea. 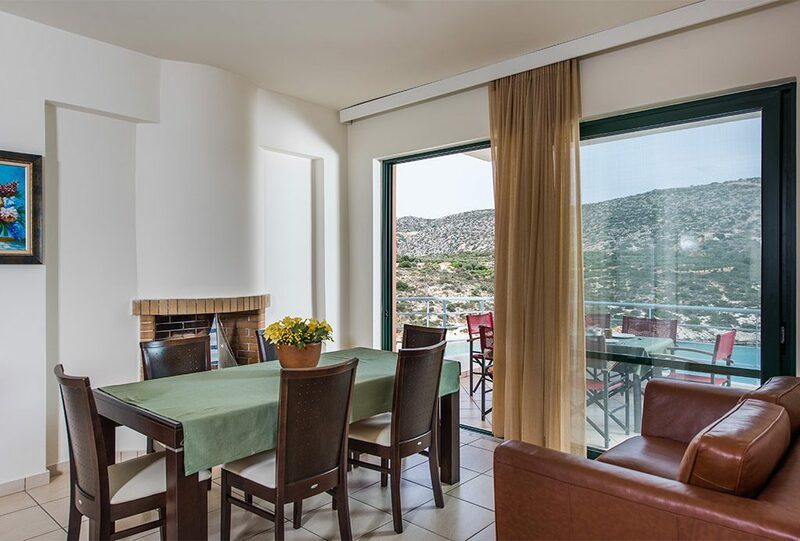 Wireless Internet is available throughout the villa indoors and outside. 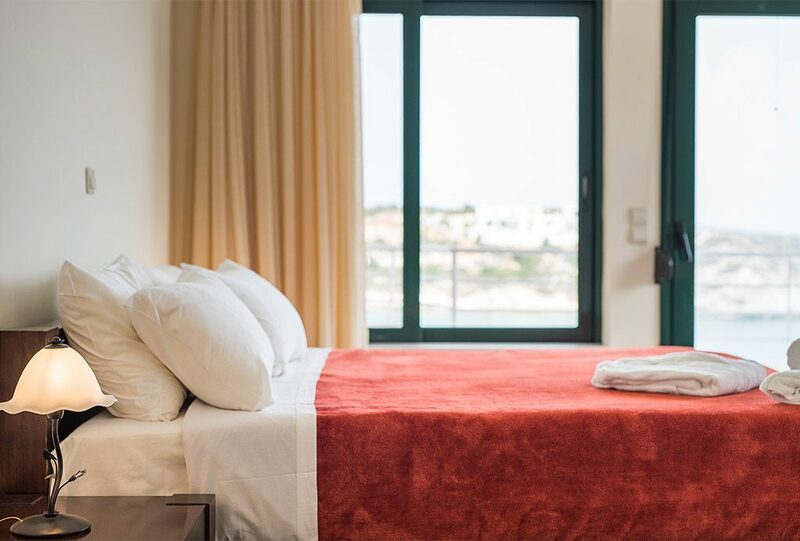 Bed linen and towels are changed every three days. 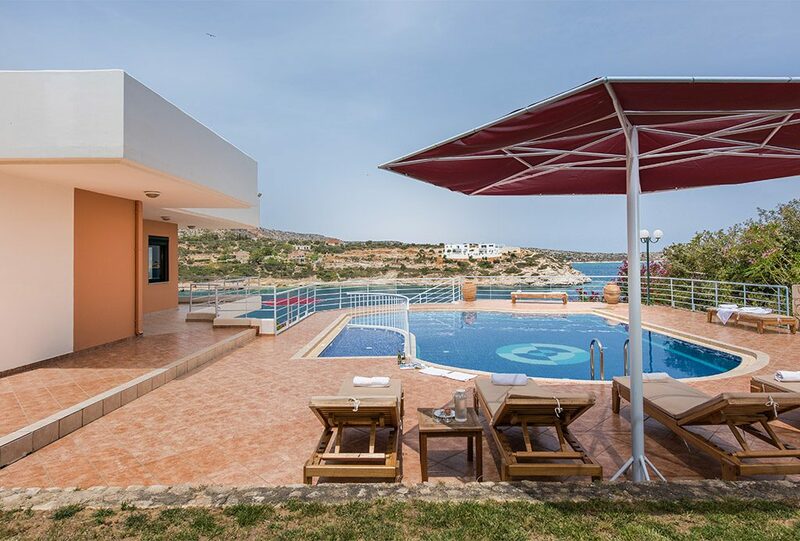 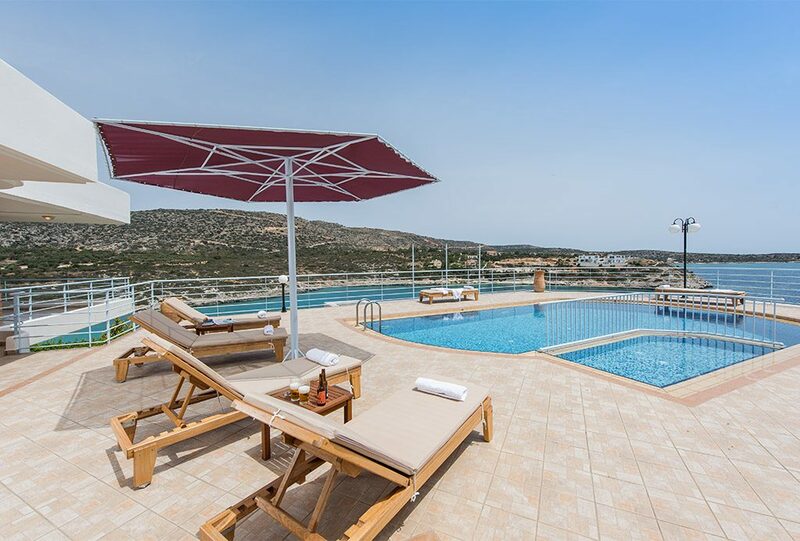 One of the finest of Chania villas and first class choice perfect for large families or groups of friends. 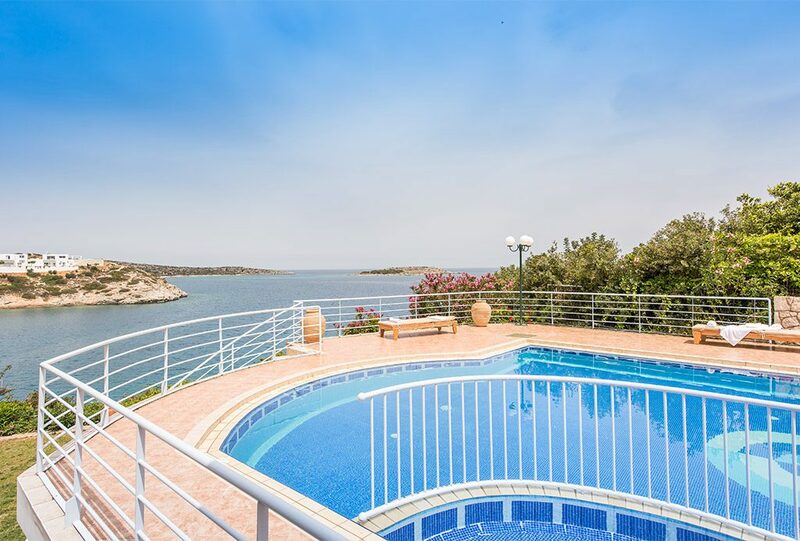 The outstanding Mare Nostrum 6 bedroom villa with private pool offers comfort and privacy, with a fully equipped kitchen, large spacious living room with cozy fireplace and modern furnishings. 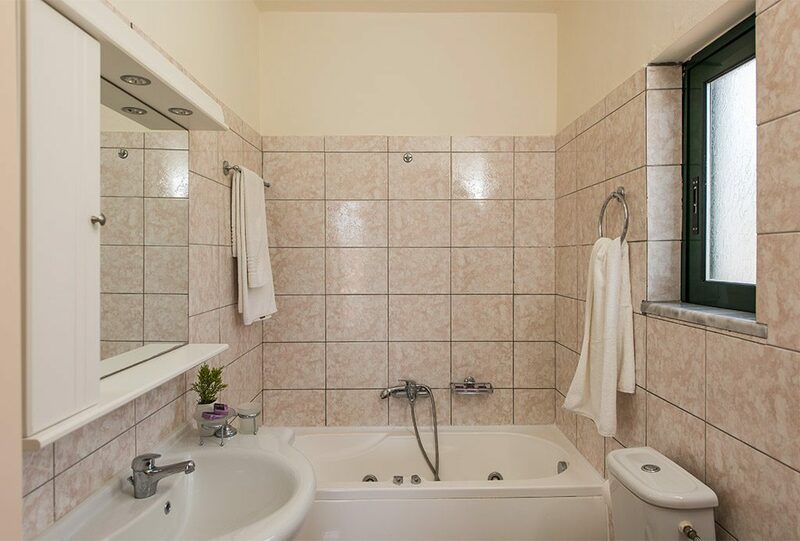 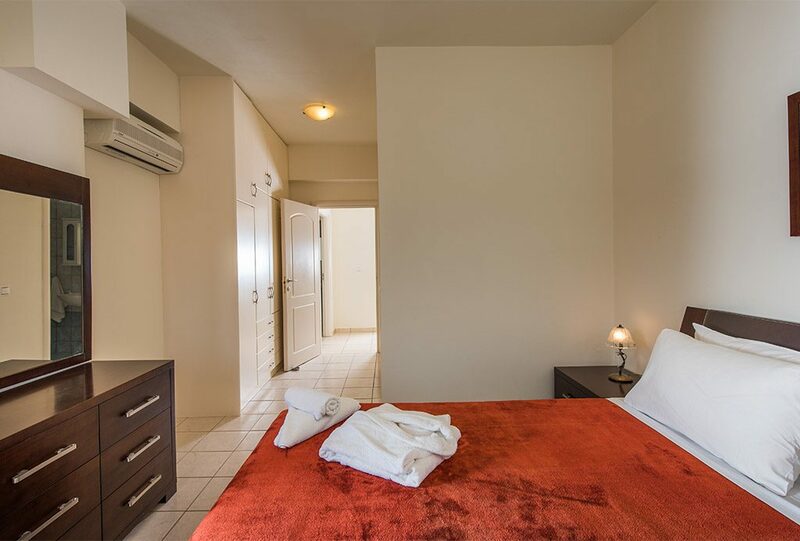 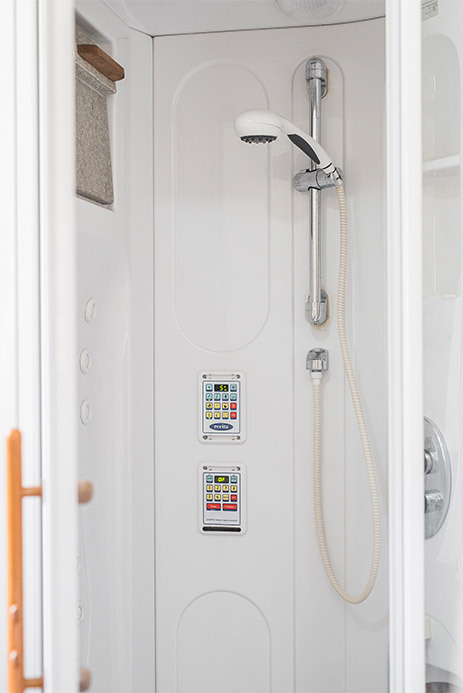 The rooms offer privacy from one another ensuring that all family or travelling members have their space. 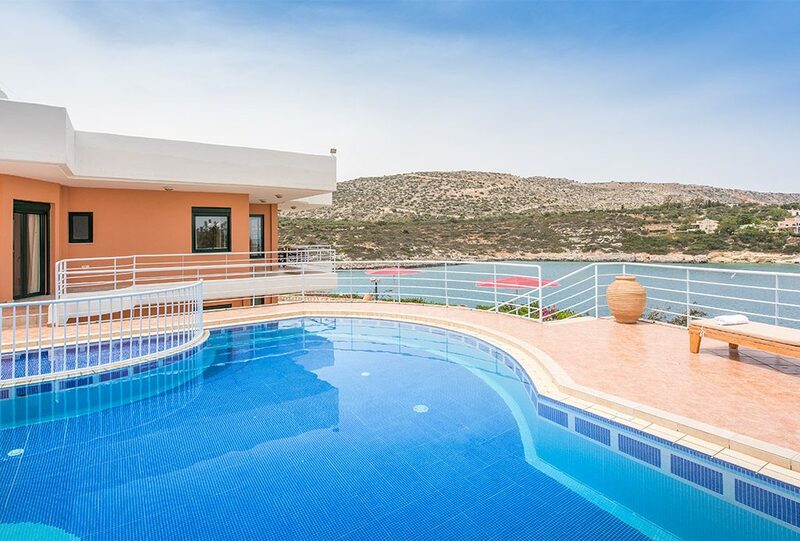 Airy and light filled – the autonomous 6 bedroom villa is the perfect choice no matter what time of year for either your summer holidays or winter break-away! 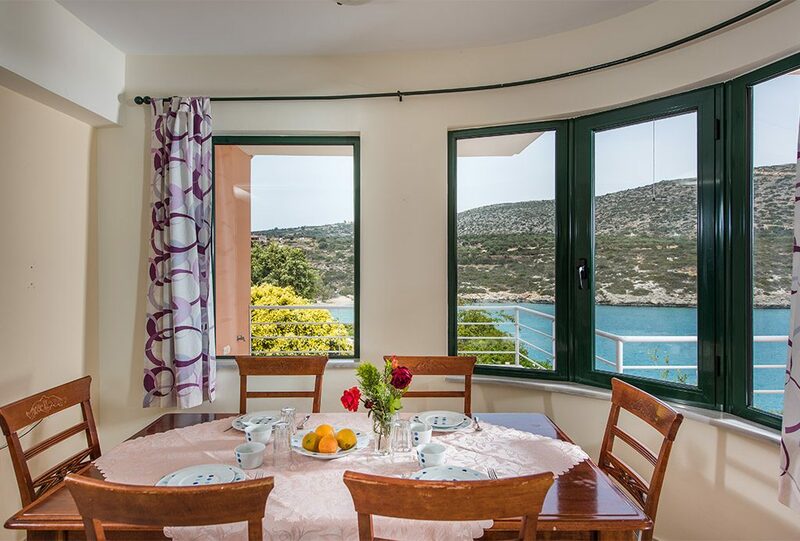 The villa offers spectacular full sea view and mountain-view onto the Loutraki Bay as well as the lush greenery of the surrounding hills. 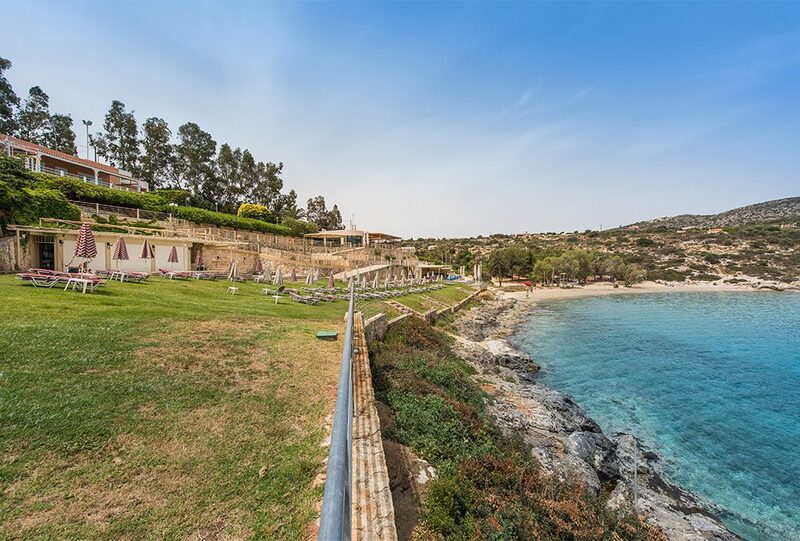 Even more exclusively, a private path that leads to the sea only 30 meters away is at your disposal. 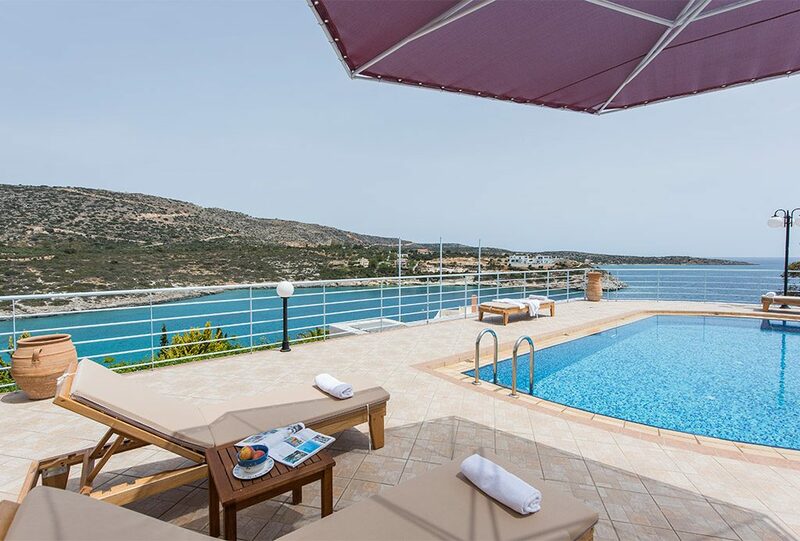 Lounge by your private pool day and night and enjoy hours of sunbathing and activities with your loved ones – all overlooking the spectacular Cretan sea. 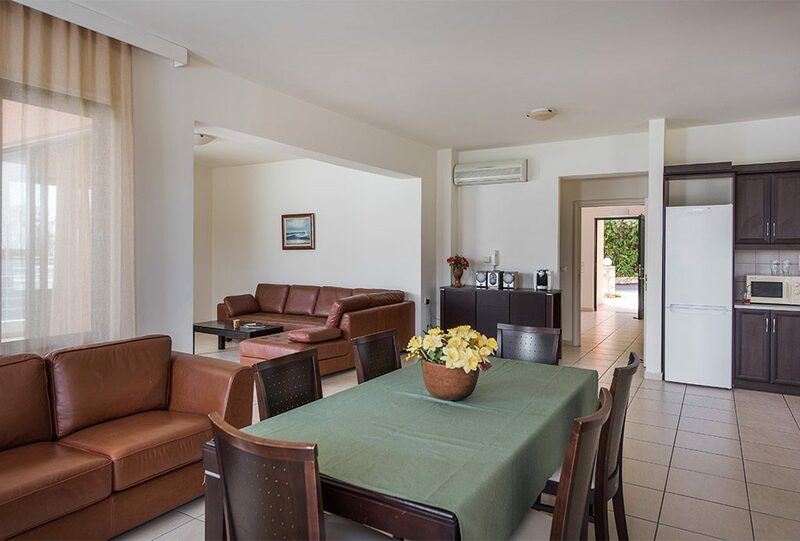 Wireless Internet is available throughout the villa indoors and outside. 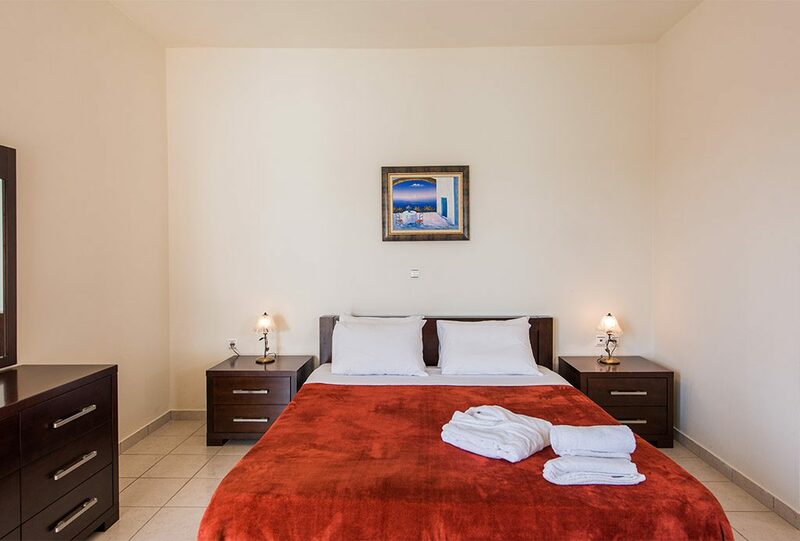 Bed linen and towels are changed every three days. 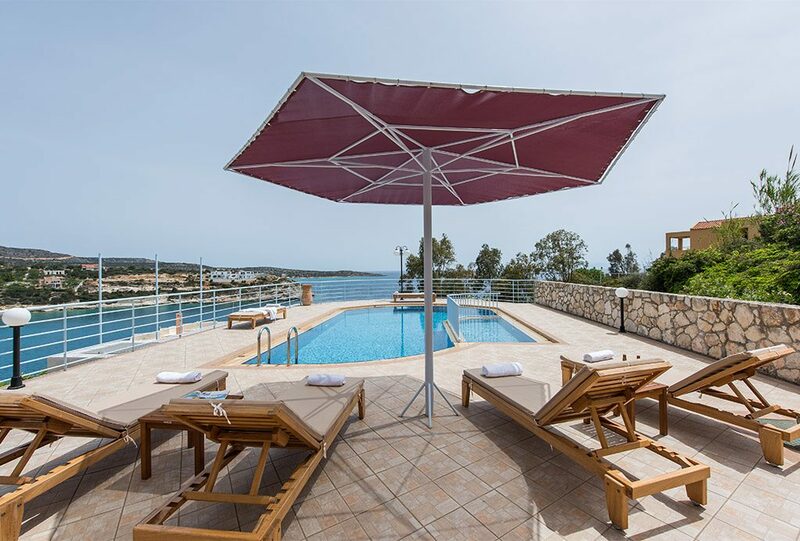 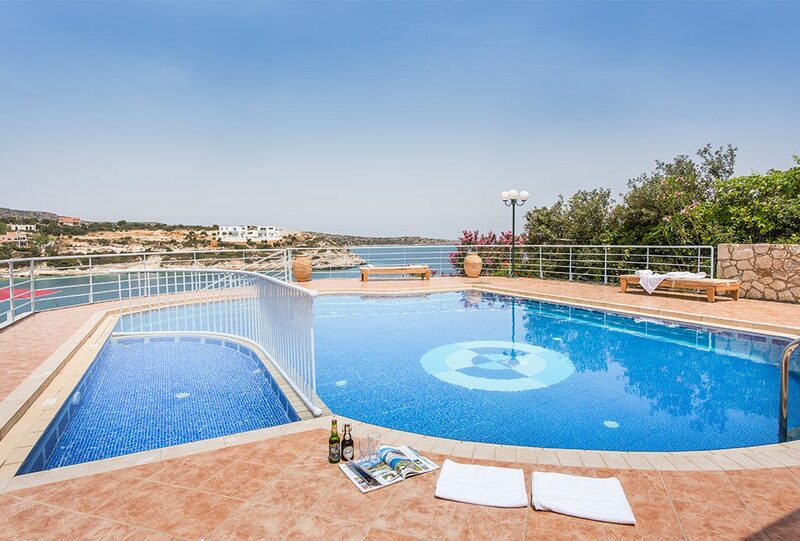 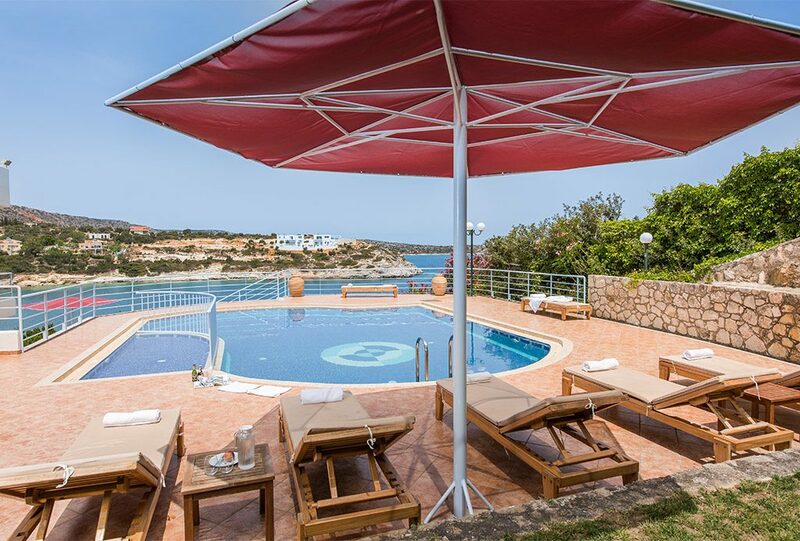 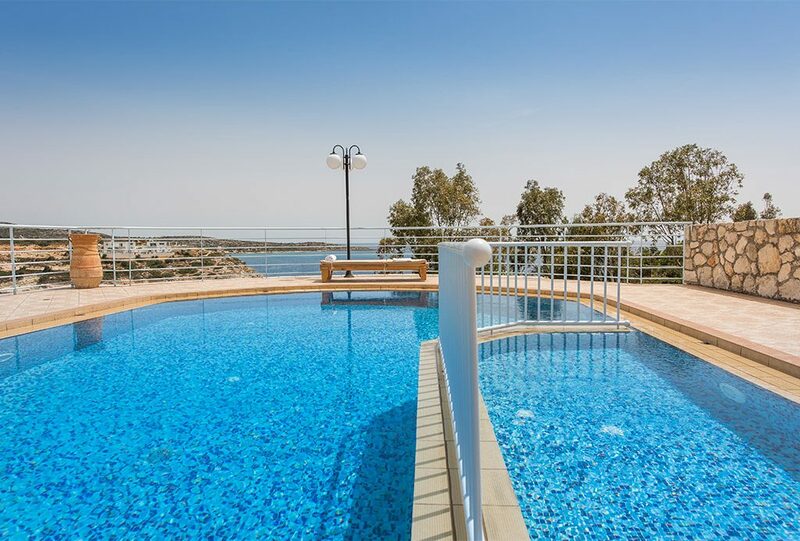 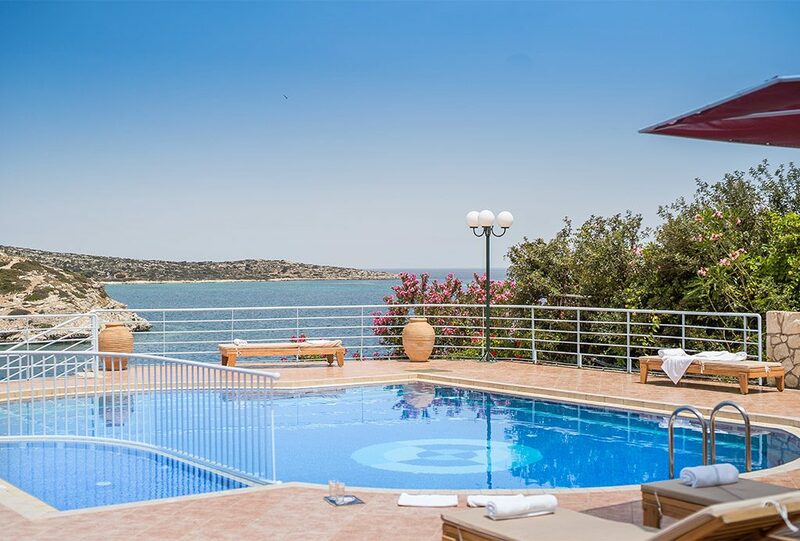 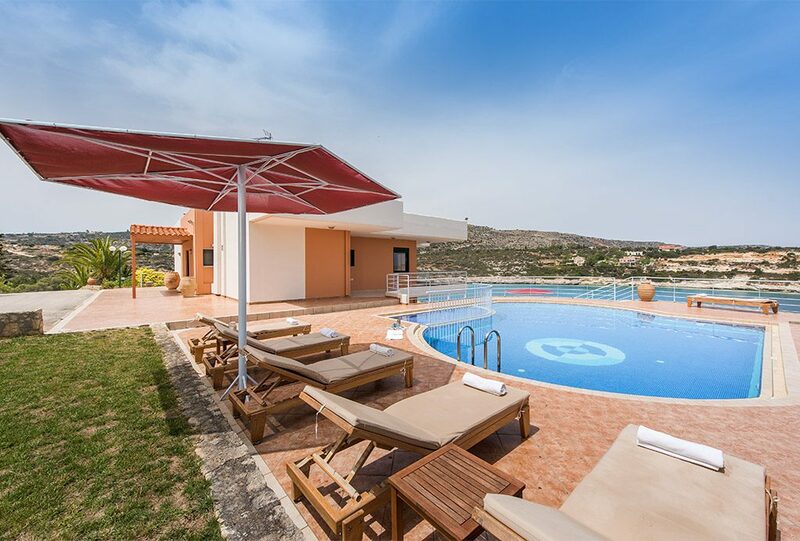 Our 6 bedroom villa with private pool is the perfect luxury villa in Chania for a lavish style holiday offering privacy, comfort and serenity for all!